The Sussex County Miners are one of North Jersey’s winningest professional baseball teams. The Miners are a proud member of the Canadian American Association of Professional Baseball and play a 102-game season from May through September. Fans can enjoy exciting baseball, promotional nights, and great daily specials, including our spectacular fireworks shows. The Miners play their home games at Skylands Stadium, one of the premier sports and entertainment venues in North Jersey. The Skylands Stadium Sports Complex is conveniently located in the heart of Sussex County and includes a 4,200-seat stadium, the 17,000-square-foot indoor Champions Way Sports Academy, the 3-acre Backyard Place play and party area, the 80-seat wheelHouse Craft Kitchen + Bar pub-style restaurant, and a spacious parking lot. 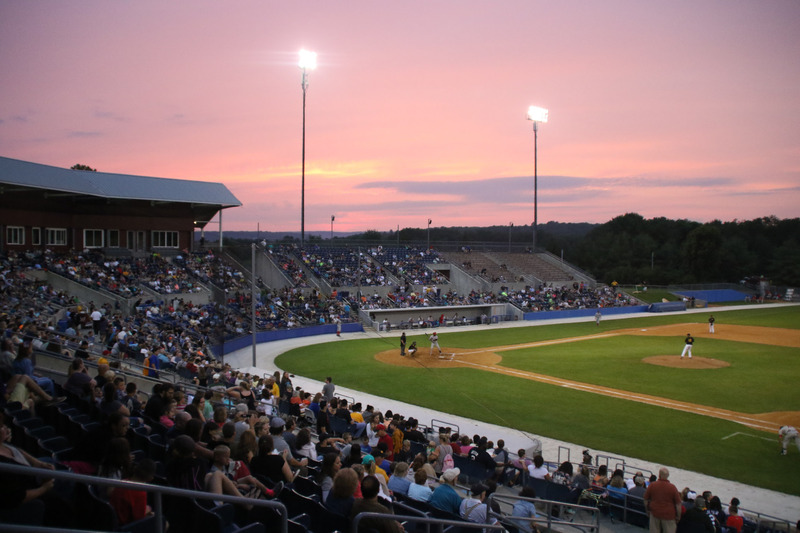 In addition to baseball, Skylands Stadium also hosts numerous events including food truck festivals, beer festivals, boat shows, light shows, and holiday extravaganzas, as well as private and corporate functions. Skylands Stadium strives to provide the best in cultural and recreational entertainment, and offers fun and affordable activities for the entire family. For more information or tickets, please click here or call 973.383.7644. Error: Error validating access token: Session has expired on Monday, 11-Mar-19 14:30:33 PDT. The current time is Thursday, 25-Apr-19 09:03:39 PDT.